Examples of work from pupils using the Read Write Perform approach. Here is an example from the brilliant students at Llandough Primary. This is the finished product from using the Read Write Perform Planet Earth teaching pack. The fantastic pupils have created their own audiobook using the Dual Narrative teaching pack. As encouraged in the pack, children have also composed the soundtrack to accompany their text. 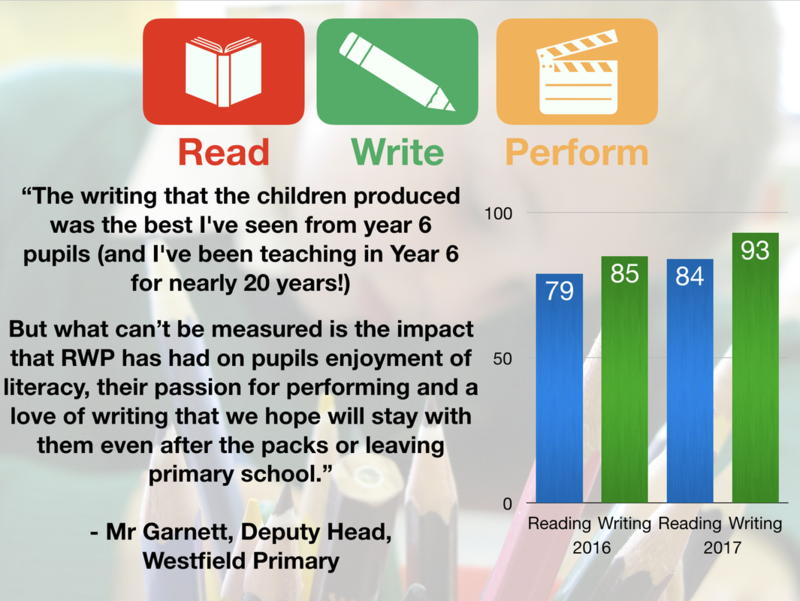 We love it when schools innovate on the Read Write Perform approach. Longmoor Primary have taken the Planet Earth Nature Documentary pack and created their own documentary all about their school. The finished video is spectacular! The brilliant pupils at Westgate Hill have taken their brilliant performances using the Battle Cry pack and made an interactive display using the app HP Reveal. Watch the video and check it out. The wonderful students at Fairfield have recently finished the Dual Narrative teaching pack. They have created this Padlet wall to share all their finished performances. Please have a listen. We were really impressed by these passionate team-talks from the pupils at Hayes Primary School using the Sports Manager Pack. The wonderful Year 5 class at Richardson Dees Primary school up in the North East have loved doing the Crawl pack. Here are a couple of their examples.